When you purchase a pre-construction condominium you will be given two different dates, the interim occupancy date and the closing date. Interim occupancy is unique to pre-construction condos, and the process may be foreign to some, especially first-time homebuyers. Here is your comprehensive guide on what to expect. Interim occupancy is the period of time between the day you occupy your unit (move in) and the day you take ownership (close). One of the reasons for interim occupancy is to allow the builder to focus on the sold suites and some of the common elements before the building is registered. Interim occupancy takes place as soon as the city deems the building is safe and ready for homeowners to move in. Typically this can last between three to eighteen months, depending on the project. During this time the building is still under construction, but homeowners are required to occupy. Keep in mind that whether you choose to actually live in your suite at this time is up to you, however, all purchasers must pay a monthly fee during this time. It’s important to note that the occupancy fees are not credited to the final purchase price. They are equivalent to rent payments, as homeowners do not legally own their suites yet. Because of this, mortgages cannot be secured and renting your suite is not permitted. The final closing occurs once the developer is ready to register the condominium and transfer ownership to the individual unit purchasers. At this point interim occupancy ends, the building is registered and homeowners can secure a mortgage, rent or sell their suite. The property management company will also take over at this time. What is my Occupancy Fee Paying for? The monthly fees charged by the builder during interim occupancy include interest on the unpaid balance of your suite, contribution fees for common elements (not unlike maintenance fees) and estimated property taxes. For more details, refer to Section 80(4) of the Condo Act. During the interim occupancy period, the builder has a number of regulations that must be adhered to. These include providing the services that the condo corporation will take over once the building is registered, such as garbage disposal and (where applicable) concierge as well as maintaining the property and suites to the same manner as the condo corporation (HVAC, fire alarms, etc.). To view the full list of the builder rights and responsibilities, check out section 80(6) of the Condo Act. Have additional questions? 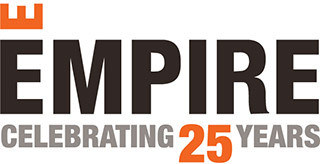 Contact Empire customer service team at 1 866 683 5556.